3.5 starsI was pleasantly surprised by this book -- I'm not sure exactly what I was expecting, but I really enjoyed it. (I would have enjoyed it more had there been more piercing, but maybe that's just me...)Anyhoo...I connected on so many levels with Rory. 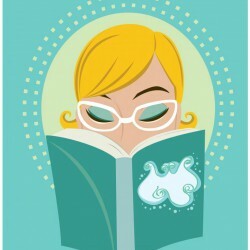 The girl filled with self-doubt and social awkwardness. THAT WAS ME. Still is most days. I wanted to pat her 20 year old head and tell her that she'd find her place and that she'd figure things out...gah. I'm having flashbacks just remembering those days.And then there is Tyler. A little rough around the edges with his ink and his piercing (THERE SHOULD HAVE BEEN MORE ABOUT THE PIERCING) but he has a library card and he loves his brothers and he loves to read and he reads Harry Potter to his brother. 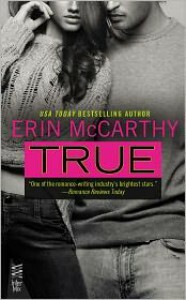 They seem absolute opposites, but I love them together.True is a quick and enjoyable read that makes me want to check out other works by Ms. McCarthy.